Jeanette Forbes, CEO of the PCL Group, has been named Inspirational Woman of the Year in the inaugural Business Women Scotland Awards. The awards, presented at a gala dinner in Glasgow, were supported by the Federation of Small Businesses (FSB) and celebrated the entrepreneurial spirit of female-led companies from across Scotland. 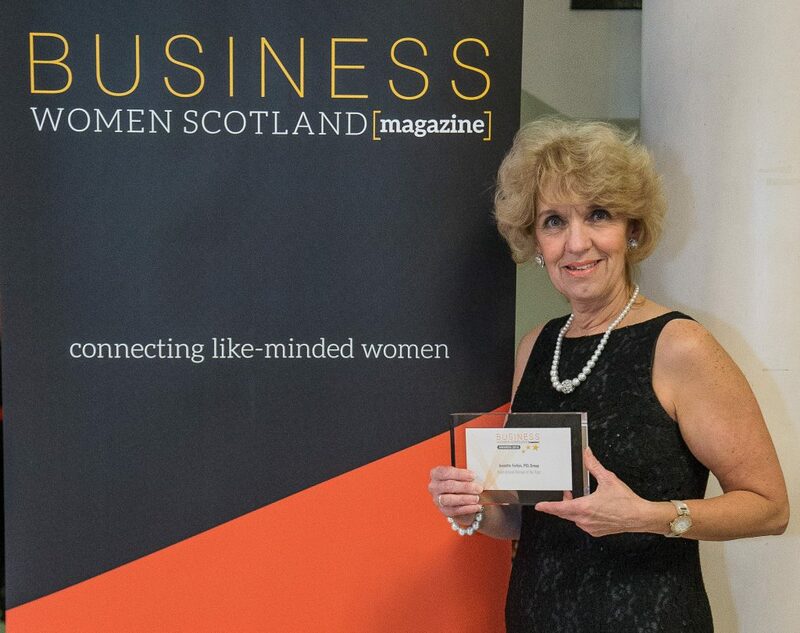 The Inspirational Woman Award was a special honour presented by Business Woman Scotland magazine, organisers of the event, to someone they felt inspired other women in business. Jeanette founded the PCL Group, which provides a full range of IT, telecoms and computer services to the offshore, marine, commercial, industrial and renewable sectors, in 2000. Since then she has been at the forefront of promoting and encouraging opportunities for women in the energy sector and has won a number of national awards and industry accolades for her work in that area and for her role as a business mentor. Seven other awards, celebrating a range of business achievements, were also presented at the ceremony. The judging panel comprised Margaret Gibson, Women’s Enterprise Scotland, Professor Lesley Sawers and Marie Macklin CBE. The awards dinner was hosted by STV newsreader Rachel McTavish and featured Secret Millionaire Dawn Gibbins Cox as guest speaker.